My husband has restless legs! Also known as restless leg syndrome, or RLS, for short, this is a really aggravating condition – not just for sufferer, but also for the bedmate. There have been nights when Johnny’s legs jerked and moved so much that I was sure he was dreaming about running a marathon. He’s also kicked me numerous times in his sleep, which was accidental, of course. Even though it wasn’t done purposely, the blows hurt just as much. The condition is no picnic for him, either. It often disturbs his sleep, and sometimes it’s painful. 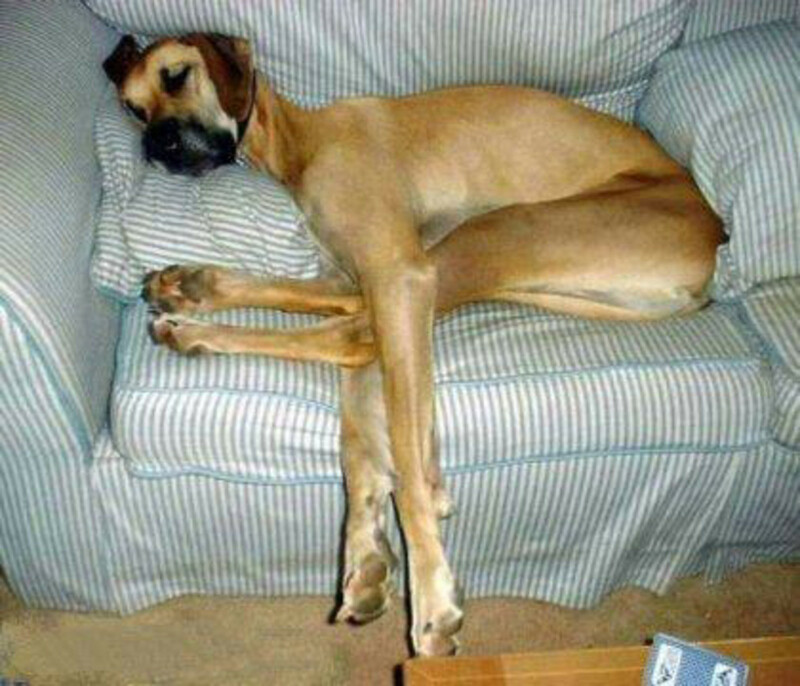 Thankfully, we’ve found some ways to help calm his restless legs. What is restless leg syndrome? RLS is a problem with the nervous system. Something compels the person to move his legs – it’s a strong, uncontrollable urge. This usually happens when the person is relaxing late in the day, and especially when the person is asleep or trying to drift off to sleep. A few people report having RLS during the day, but Johnny has never experienced this. His restless legs never act up until he’s lying in bed, trying to fall asleep, or when he’s already asleep. I’ve asked him why he feels the need to move his legs, but he had a hard time explaining it to me. He said if he doesn’t move his legs, he knows they’ll hurt. He describes it being similar to his legs “falling asleep.” At this point, there’s no real pain – just a weird feeling in his lower limbs. Sometimes, however, he wakes up during the night with painful muscle cramps. I have to believe that these are associated with his RLS. 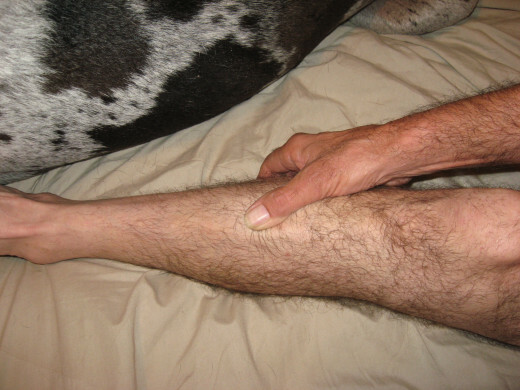 Restless leg syndrome causes are wide and varied. Oftentimes, the cause for a person’s restless legs is never identified. Some doctors think there’s a genetic link, but we have no way to find out more about this because Johnny was adopted. He knows nothing about his biological parents, including their medical history. He doesn’t have any biological children or known siblings, either. Sometimes RLS is a side effect of certain drugs. 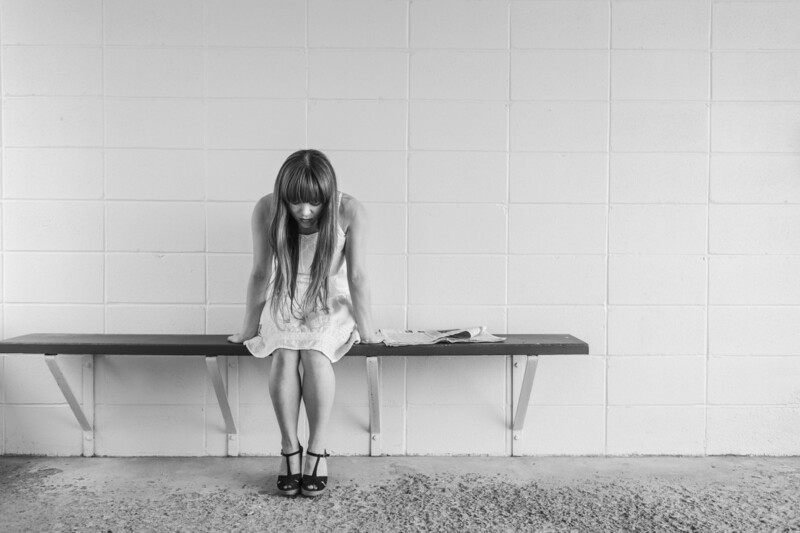 These include antipsychotics, antidepressants, antiemetics, and antihistamines. 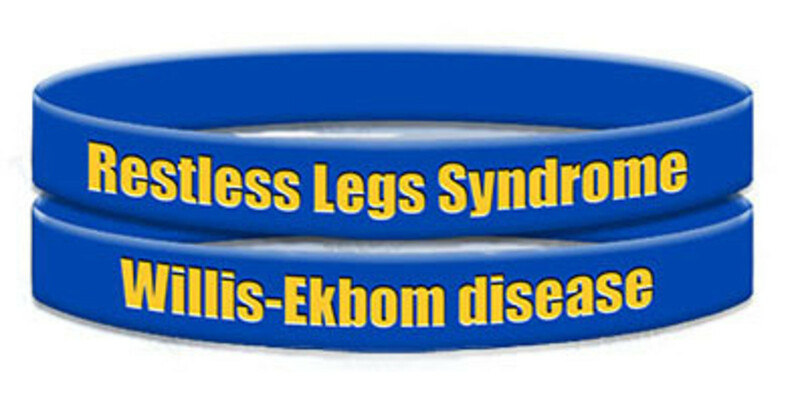 We strike out here, too, for restless leg syndrome causes. Johnny doesn’t take any of these medications. Restless legs can also be a side effect of another condition or illness. These include varicose veins, kidney damage, rheumatoid arthritis, hypoglycemia, Parkinson’s, fibromyalgia, anemia, thyroid disease, and peripheral neuropathy. Diabetics also tend to have more attacks of RLS than people with normal blood glucose experience. 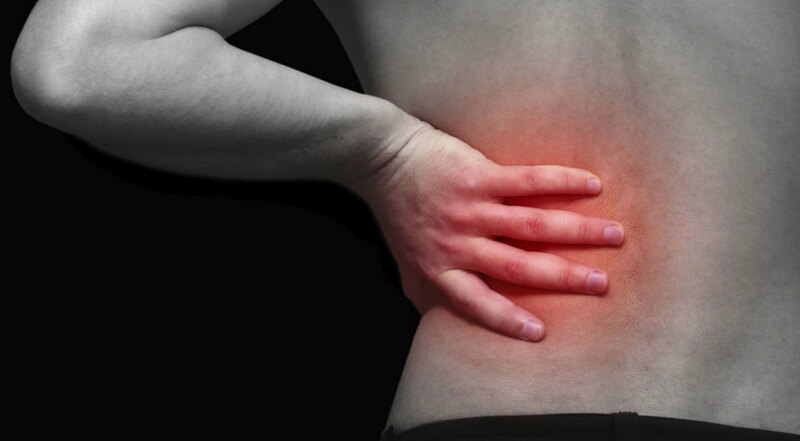 An injury to the nerves in the spine can also cause RLS. Johnny doesn’t have any of these conditions, either. Finally, I discovered that some doctors believe that RLS can be caused or exacerbated by caffeine, smoking, and alcoholic beverages. Bingo! Ladies and gentlemen, we have a winner. Actually, we have three. Johnny drinks coffee and sodas throughout the day, and at night, he usually has a beer or two with some M & Ms. He’s also a smoker. Perhaps one, two, or all of these activities are causing his problem. Treatment for restless leg syndrome sometimes includes prescription drugs. Some physicians suggest Valium, now known as Diazepam, for restless leg syndrome relief. Horizant, an anticonvulsive, is sometimes prescribed for people with severe RLS. Another anticonvulsive, Carbamazepine, might be used for RLS treatment. This drug is normally used in the treatment of epilepsy, post-traumatic stress disorder, bipolar disorder, ADHD, and neuralgia. Perhaps the most controversial treatment for restless leg syndrome is a group of drugs known as “Dopamine agonists.” These medications stimulate dopamine receptors in the brain. Dopamine is a neurotransmitter that sends messages to nerves and nerve cells. Common examples of Dopamine agonists include Mirapex, Neupro, Lisuride, Sifrol, Parlodel, and Requip. Of these, Requip and Mirapex are the two most often used in the United States for RLS treatment. Why are these drugs so controversial? For one thing, they can cause some nasty side effects, including extreme daytime drowsiness, nausea, vomiting, hallucinations, and hypotension. Such drugs can also actually increase the very symptoms they’re supposed to help. Another problem is that these medications often “wear off” once you’ve been taking them for a while, so you’ll need larger and larger doses in order to achieve the same restless leg syndrome relief. Sounds pretty scary, huh? Sometimes this is a case when the treatment is worse than the ailment. Hubby didn’t think following a drug RLS treatment was a good idea, and I wholeheartedly agreed. Instead, I began searching for and experimenting with a restless leg syndrome natural treatment or two. We stay away from prescription drugs as much as possible, so we experimented with some restless leg syndrome home remedies. I don’t think these will benefit everyone, but they’re sure worth a try! The same remedy might not work every time, either, even with the same person. Sometimes one RLS treatment works like a charm for Johnny, while at other times, it might be ineffective. One of the best restless leg syndrome home remedies we’ve found is massage. When hubby’s legs start their “jerking,” I massage them. I’m not a massage therapist, but I do my best to really work the muscles. Sometimes walking up and down the hallway helps Johnny, too. Relaxing in hot water provides restless leg syndrome relief for some people, although for others, ice packs work better. Johnny likes to soak in our hot tub, with his legs right in front of a jet. The pulsating water works in much the same way massage does. Since getting overly tired and stressed out can make RLS worse, it’s important to pace yourself when working or exercising. Don’t go to the point of exhaustion. Take a break once in a while. Decrease emotional stress as much as possible, too. Relaxation techniques help some sufferers, but Johnny prefers listening to music. Another important element in overall health and restless leg syndrome natural treatment is nutrition. Make sure you get enough calcium, magnesium, and iron. Calcium, of course, can be found in milk, cheese, and other dairy products. Good sources of magnesium include spinach, dried beans, almonds, bran cereal, peanuts, and peanut butter. The quickest way to get a good dose of iron from your diet is to eat beef, chicken, or pork. If you’re not consuming enough of these minerals, you can always take supplements. The right nutrients might be just what your restless legs need. 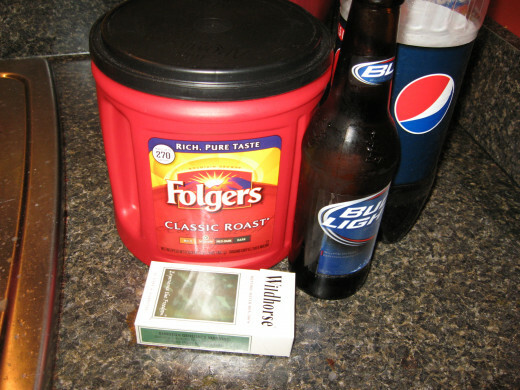 I’ve already mentioned hubby’s affinity for coffee, sodas, chocolate, beer, and cigarettes. If you’re looking for an easy RLS treatment, try to avoid these substances at much as possible. If you can’t do away with them completely, at least avoid them in the late afternoon and evening. When Johnny has a severe occurrence, he’s tried using my TENS unit on his legs. Sometimes it helps, and sometimes it doesn’t. Personally, I don’t think he’s amping the TENS unit up enough. These units are usually good at stopping muscle cramps, so if your RLS gets to that point, I think a TENS would be very beneficial. 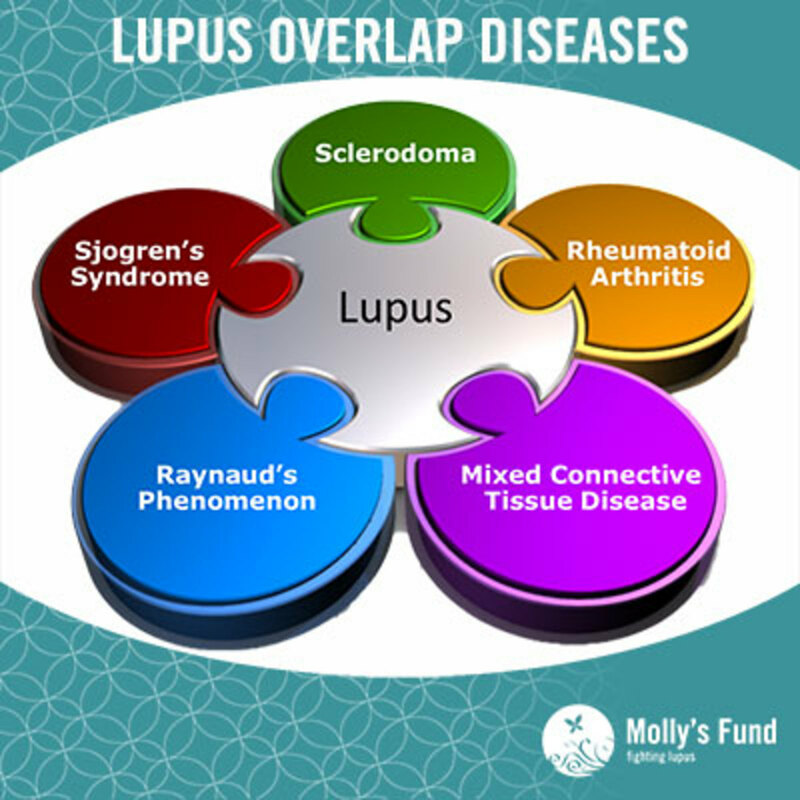 There are also several unusual examples of treatment for RLS. They sound weird, but some folks swear by them. 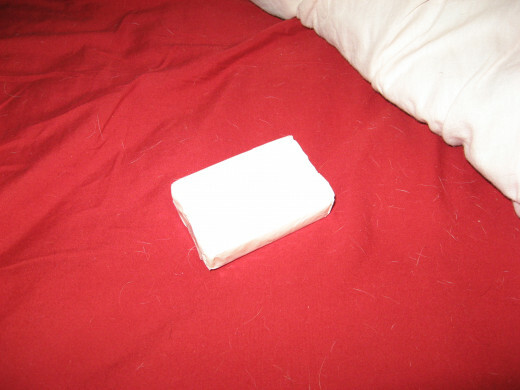 One of the strangest is placing a bar of soap in the bed, between the fitted sheet and the top sheet. Some claim the bar should be unwrapped, but others say it works better left in the paper. The brand seems to be debated, too. Most soap-users say Ivory is best, while other say the brand isn’t important. Another difference among this old home remedy for RLS is exactly where the soap should be positioned – at the feet, at the knees, or behind the calves. In fact, some say holding the soap in one hand works best for them. Other restless leg syndrome home remedies include consuming common ingredients you might have in your pantry: a tablespoon of black strap molasses every day, ¼ teaspoon baking soda dissolved in a cup of warm water, or a tablespoon of apple cider vinegar a day. Coconut oil has also been reported to be an effective treatment for restless leg syndrome. We’ve never turned to any of these more unusual treatments – we haven’t had to. The other RLS home remedies have served us well. If you’ve tried the ones mentioned, and they haven’t worked, why not try one of the strange options? Even though I see no plausible reason as to how they might work, I’d turn to them before I went on prescription drugs. They’re cheap, and they’re pretty harmless, so why not give them a chance? If they work, do you really care how they work, as long as they calm your restless legs? 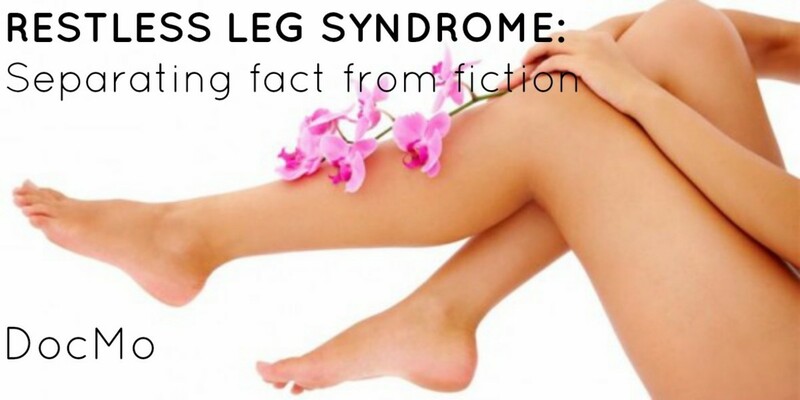 How often have you had restless legs, or RLS? I have it once in a great while. I have it almost every night. I heard put a bar of soap under your sheets. It helps with pain and muscle cramps & with RLS. I have tried it now for a week now and no RLS you can look it up on line too. That is where I heard about it. At first I thought it was funny. But I use a bar of soap now. I have RLS pretty bad. My doc recommended quinine. The only place you can get that is in Tonic Water. I take about 8 oz. when I am really restless...I flavor it with MIO because it tastes nasty. It works for me. I also take magnesium supplements too. I can relate to leg pain and muscle cramps . Yes taking a hot bath help. Both of my sisters and I have this. It can really be miserable, for our husbands too! Thanks so much for the great information. Bar of soap? Anything is worth a try! My sister has been complaining about this problem, so will share some of your ideas with her. 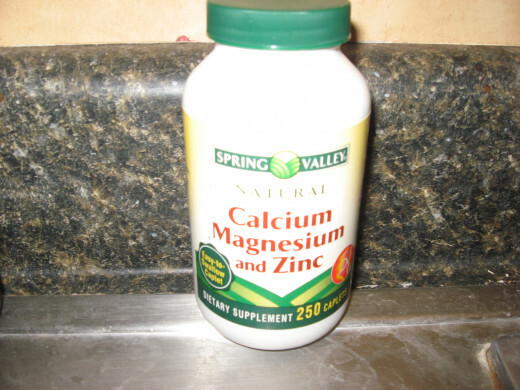 Lately, I've been reading about a lot of problems resulting from a magnesium deficiency. So it's almonds to the rescue! Yay almonds! Good coverage on a real concern for some people today. I can't imagine how much people who have this suffer nightly as they try to get a good night's rest. I've had this before - it can drive you crazy - it truly is a problem to live with it. Thanks for this information!!! Interesting to read about all the different causes of this and the variety of treatments. I've had it occasionally before going to sleep - don't know about when I'm sleeping though. I can relate to leg pain and muscle cramps. I could not imagine having RLS. I'm glad you have found something to help him. Voted up.